Phew what a week but just made this in time! The challenge over at Project Tuesday is to make a Card Purse, I adapted the measurements to fit a standard A6 card and envelope. Here's my set of cards made for a very dear friend as a thank you for getting tickets to the Chelsea Flower Show . We've been before it's such a lovely day out so I can't wait! This is really cute and I love the butterfly die that you used. Can you tell me who makes it? 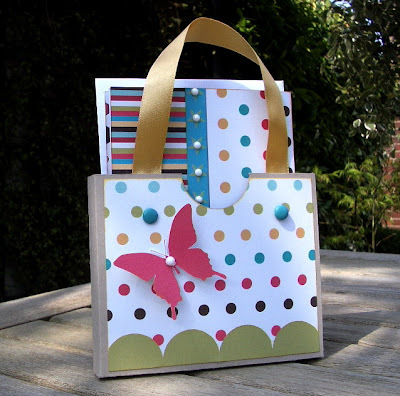 Excellent card purse, I love the bright colours you've used! 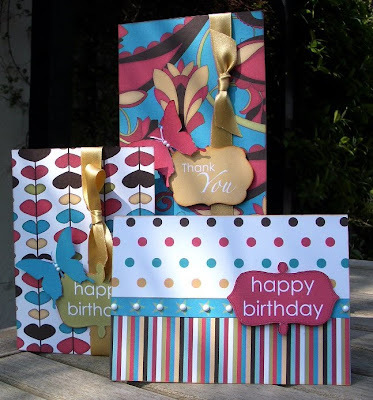 WOW....What a great card purse and love those cards!!!! Thanks for playing along with us at Project Tuesday!!! Love this bright cheerful project, the design is great and those papers simply make the whole thing really jump out. Great butterfly too. Hi, Vicky! :o) Thank you for your lovely comments and support, and for being patient with me while I sort my life out! Have just been back through all your posts since the last time I was here, and have loved your work, as always. Hope to keep up a bit more often now.. at least until I start the new job in June!